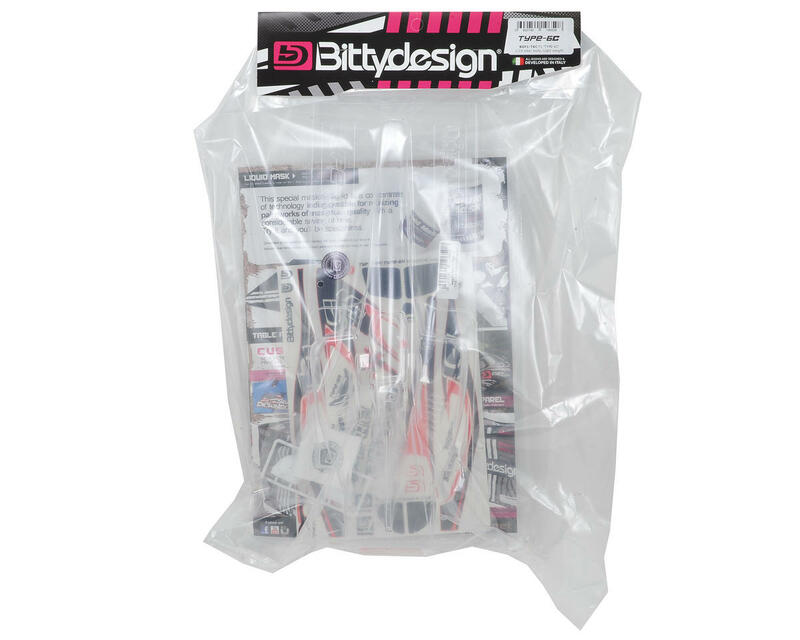 The Bittydesign "Type-6C" 1/10 F1 Body represents the next step in F1 RC Car body technology. Tested for several months in Italy, both at the famous indoor 'RC Landia' facility and also on the same ETS carpet of the 'G.Racing' racetrack, the body has undergone many changes to provide a product that responds better to your handling expectations on the track. During the development of the TYPE-6C Bitty paid close attention to the aesthetics and performance. 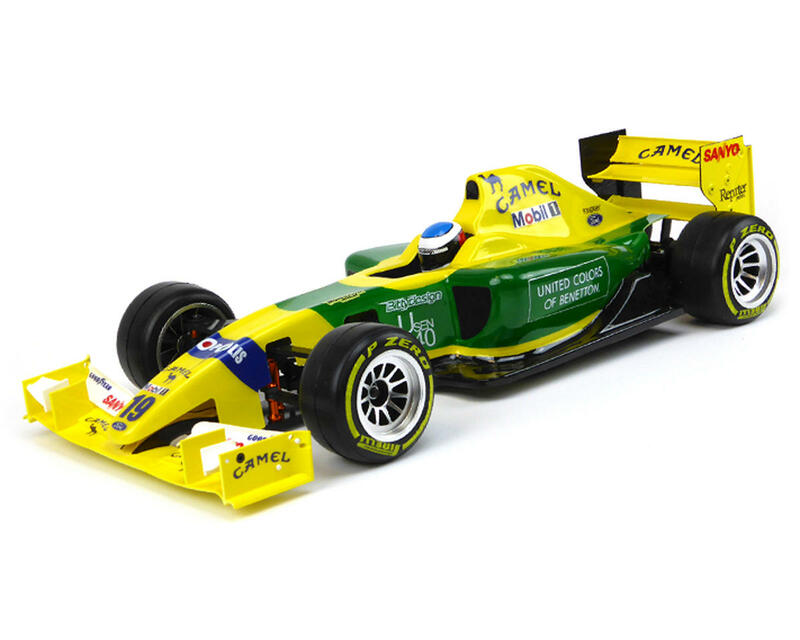 The result is a well-balanced body shell with a realistic and modern look. 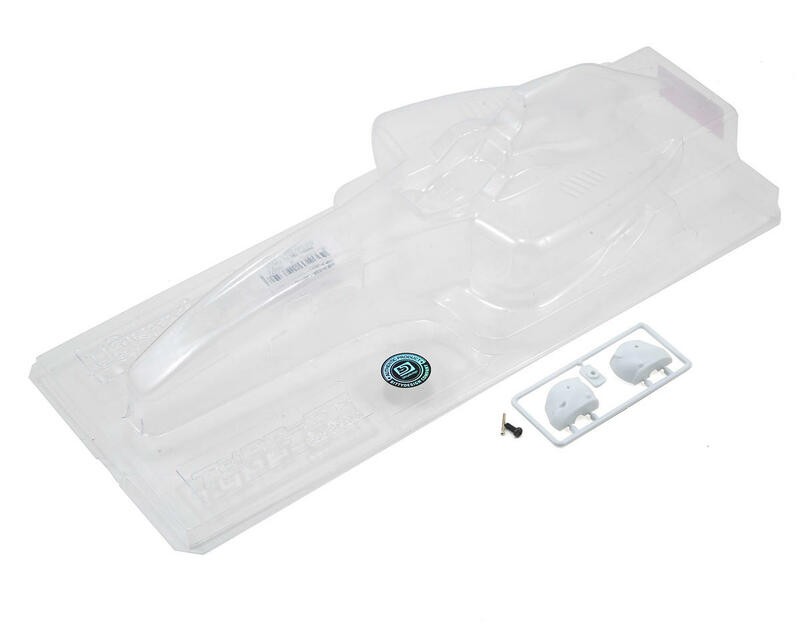 The flat under body not only generates downforce, but it gives a more realistic look to the shell. The rear end has been carefully designed to keep it as low and lean as possible. Once installed the body shell proves to be optimally positioned with respect to the lower wing ensuring a perfect aerodynamic air flow to the rear. NOTE: Because the front suspension design of each F1 chassis varies, you will need to pay close attention when trimming out the front of the body to ensure a correct fit.